24L in. x 18W in. 24L in. x 24W in. 30L in. x 24W in. 30L in. x 30W in. 35L in. x 30W in. 40L in. x 30W in. 50L in. x 30W in. 35L in. x 35W in. 40L in. x 35W in. 50L in. x 35W in. 60L in. x 35W in. 11 sizes from 24" x 18" up to 60" x 35"
Note: Some assembly is required. Legs must be attached to block. 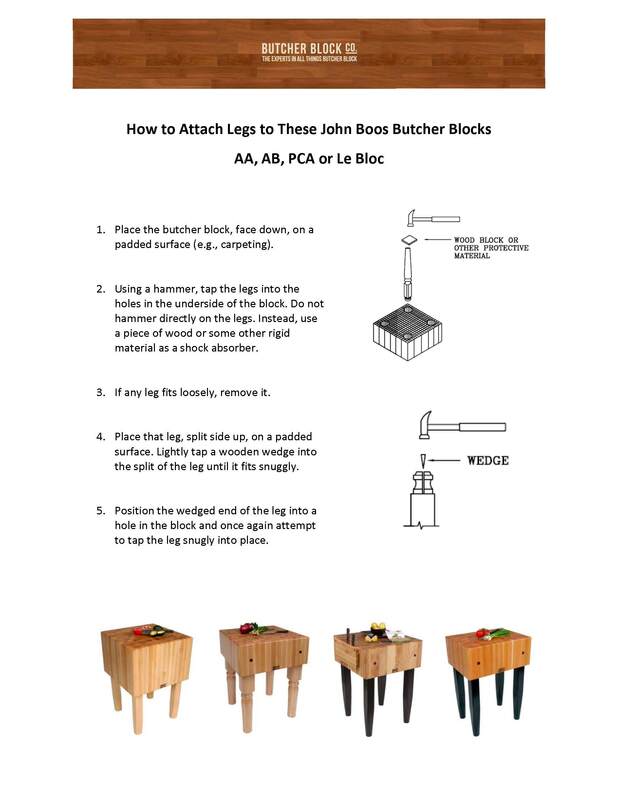 Even if you’re not a pro you can chop, pound, slice and dice like one on this professional block from John Boos. 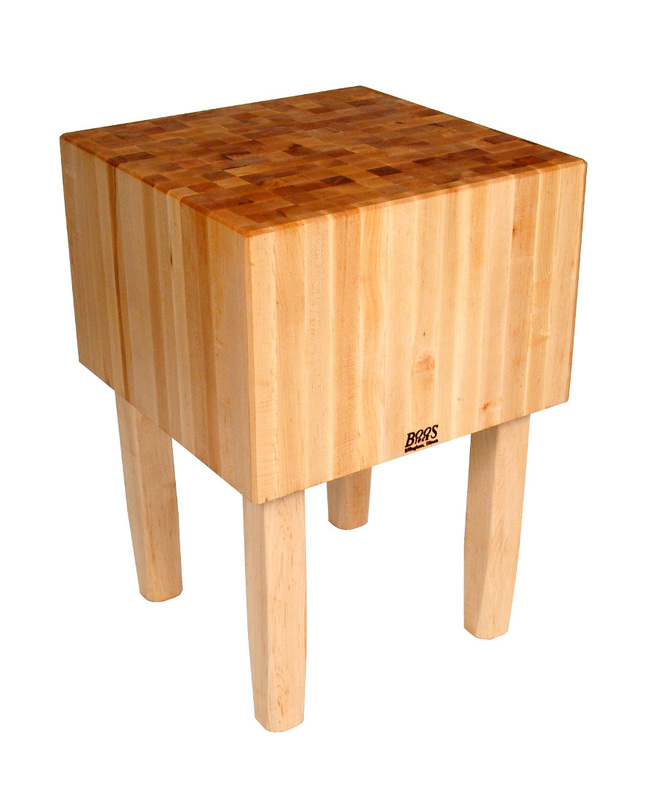 It features a 16-inch-thick, hard rock maple block atop four sturdy, square, gently tapered legs. 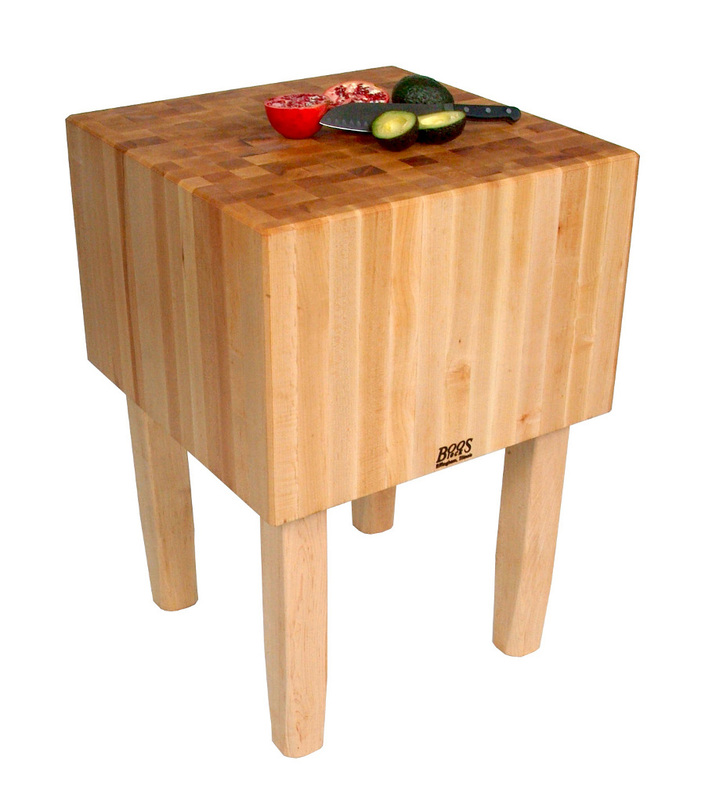 At 34 inches tall, it's the ideal height for food preparation tasks. 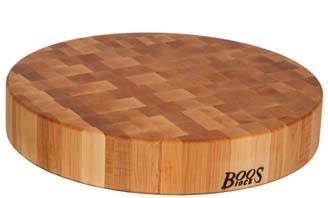 End-grain cutting surfaces hold up better, plus they’re easier on knives. 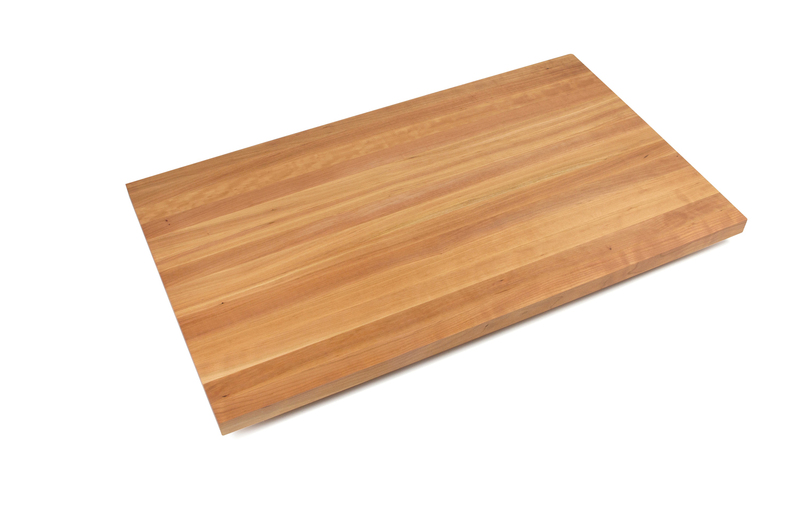 That's because end-grain surfaces are comprised of wood fibers found at the ends of cut pieces of wood. These fibers better absorb the impact of knife blades, helping keep them sharper longer. 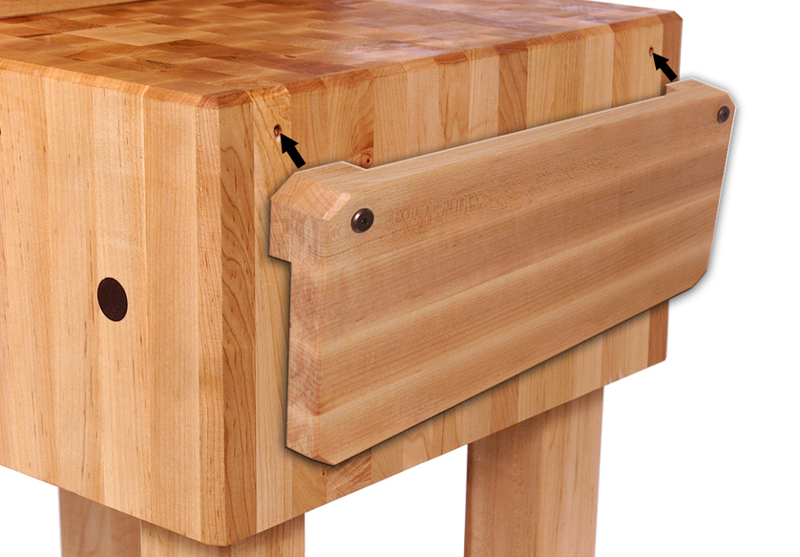 Also, malleable and forgiving end-grain surfaces are more resistant to nicks and gouges. 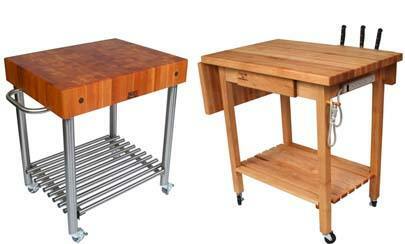 Eleven sizes, to be exact, ranging from 24" x 18" up to 60" x 35". 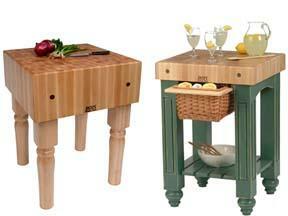 Also available is an optional wood knife holder and shield that attaches to the side of the block. It's a handy and safe place to store carving knives and meat cleavers. Boos Cream penetrates wood’s fibers and leaves a protective barrier that locks in moisture. You'll want to maintain this finish to protect and preserve the wood, so consider adding Boos Mystery Oil or Board Cream to your shopping cart. The sides and legs of the block are protected with a semi-gloss finish that's long-lasting; is virtually maintenance-free; and allows for quick and easy clean up using mild soap and warm water. You should also consider adding an attractive and utilitarian knife shield to your block. It keeps bladed utensils safe and close at hand.